In recent weeks Apple has attempted to add tothe legal waragainst Samsung, by filing a temporary restraining order in an attempt to stop the US launch of the Samsung Galaxy S III this month. However the judge has cited limited court resources, and has told Apple that in order to move forward with this plan, they would have to have to deal with a postponed patent trial schedule. That didn’t suit well with Apple so the TRO isn’t going to happen. 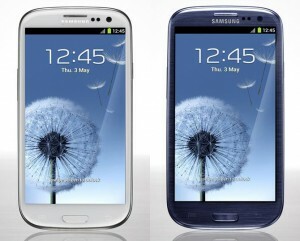 The new Samsung phone is expected to sell phenomenally well, and is launching on 4 major carriers at the same time. Samsung currently holds twice the market share that Apple holds, and sold 86 million units of smartphones to Apples 33 million in the first quarter of 2012. The hype over the new Galaxy phone is growing, and numbers will be coming out this month. Until then, Apple can only hope that iPhone users are holding out until the iPhone 5.